I hope that everyone had a lovely Thanksgiving! One of my favorite things about Thanksgiving was always my mom's turkey taquitos that she made with left-overs. 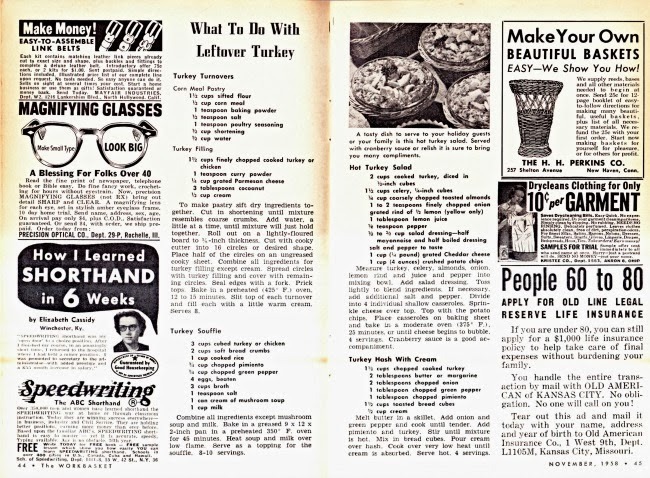 Today I thought it would be fun to share some 1950s recipes for Turkey left-overs from 1958. I love left-over turkey! 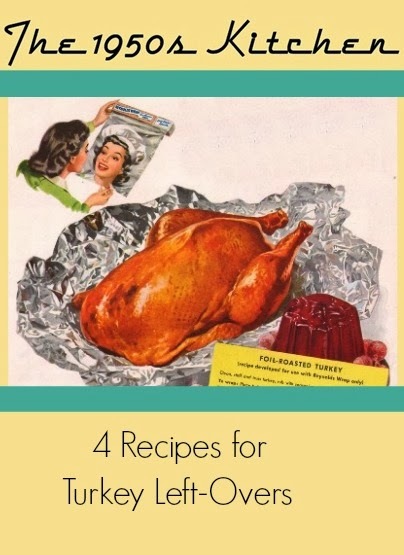 I'm excited to try some of these recipes (we have sooo much turkey left over!) 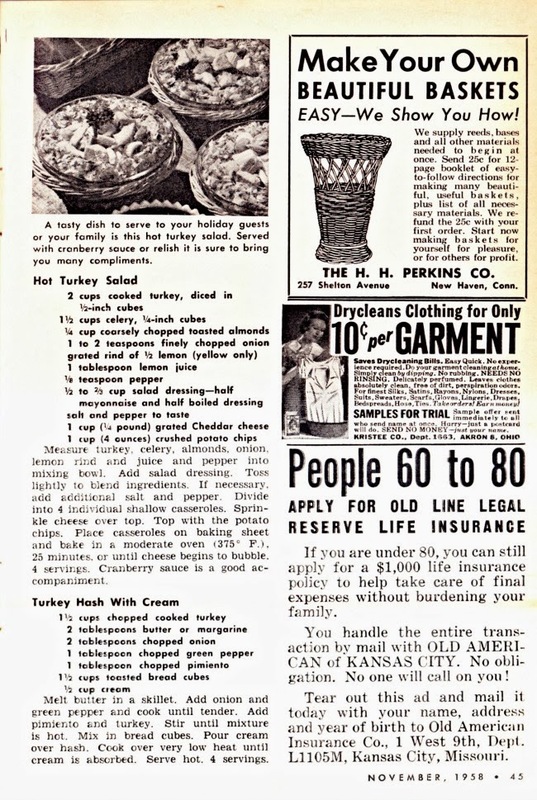 and I'd love to hear the recipe for turkey taquitos too! Hope you had a lovely thanksgiving. We don't celebrate it here in Australia, but we have turkey at Christmas, so I will keep these handy! 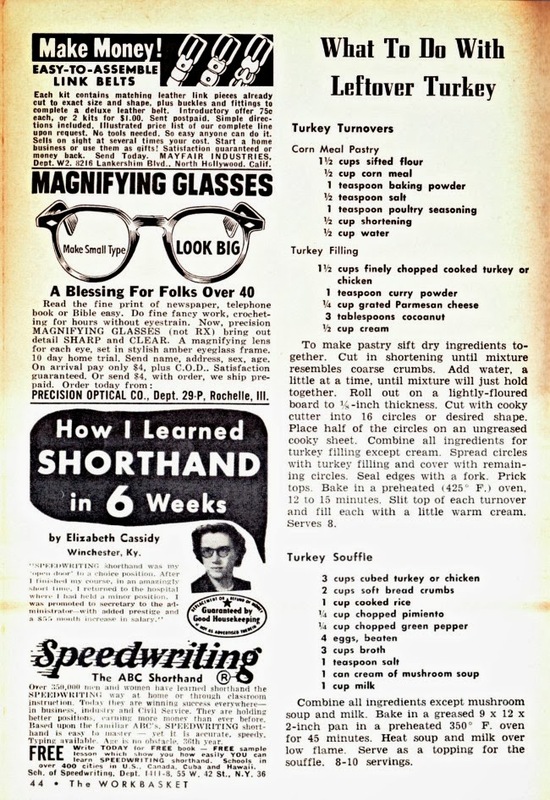 I love the Magnifying Glasses ad..."A Blessing for Folks Over 40!" lolol!